Reflect – On: This new product gives you all the shine of our textile spray with a far more controlled applicator. The spray is perfect for clothes and comes off in the wash. The roll-on feature allows a more precise application, minimising the risk of product wastage. 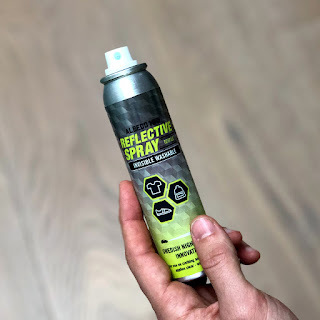 Textile: Our spray is virtually invisible in daylight but light-reflective in the dark. In case of heavy wearing you continually add more spray for a full effect. 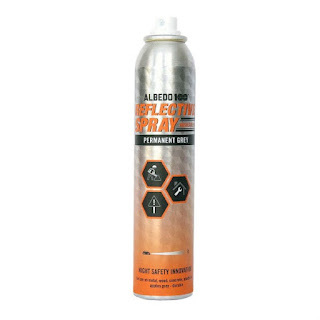 Permanent: This transparent spray comes with light reflective properties which sticks to most surfaces. 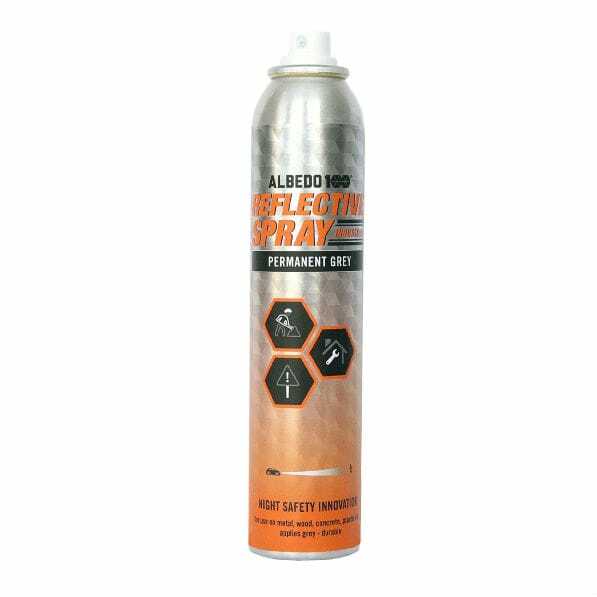 The spray is UV-resistant and durable on most materials. Some surfaces and specific plastics may need to be treated with a primer before. Industrial: Our spray sticks to most surfaces and is UV-resistant and durable on material such as wood, concrete, metal, stone etc. Pliable surfaces may stiffen if sprayed with Albedo100 Industrial.